The Jekyll Island Foundation’s initiative to make one of the island’s oldest roads available for all to experience and enjoy is nearing completion. Major Horton Road connects the Historic Horton House colonial site on the west side of the island to the Horton Pond natural area on the east side of the island. 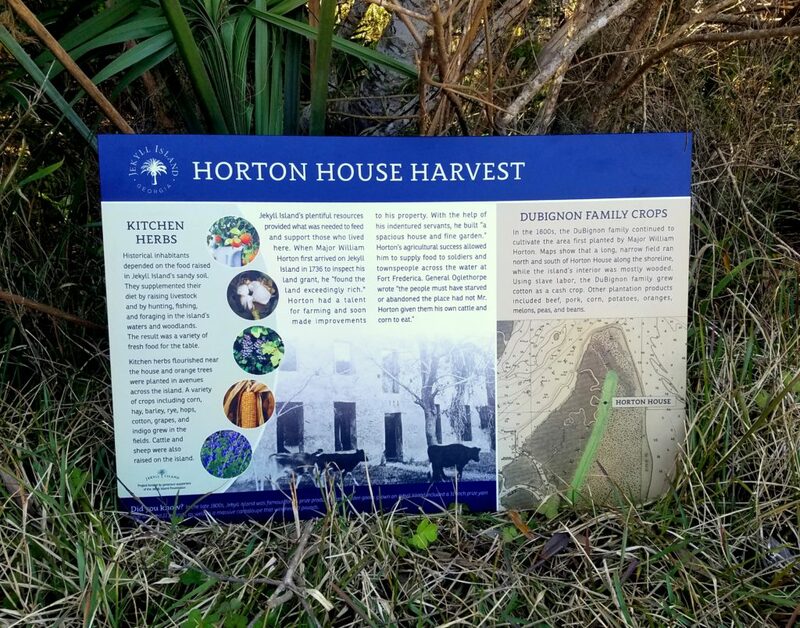 The road is an unpaved route quite possibly dating back to colonial times when the Horton House was occupied, but first appearing on maps in 1918, during the Jekyll Island Club era. Prior to the Foundation’s initiative, the road had been little maintained and only rarely used for service needs. As such, the road was used by a few adventurous folks in the know, but was overgrown, and not at all oriented toward accommodating or educating visitors. Working with the JIA Conservation team, the Foundation saw a great opportunity in this project to create connectivity between the Horton House site and the Horton Pond site so that visitors can park in the small lots at either site and experience both, while enjoying a walk in the woods along a historic route between. 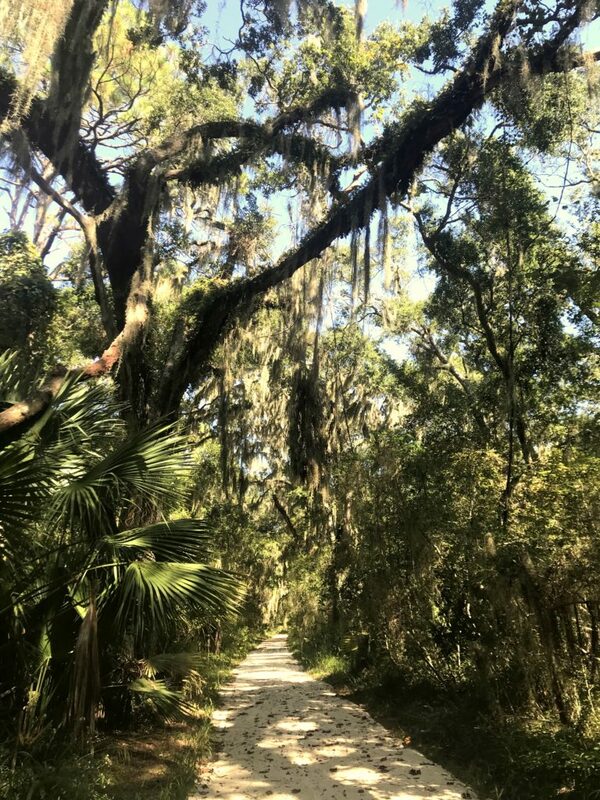 The trail is 0.7 miles each way between the sites, and ties into the Tupelo Trail loop for another ½ mile, opening up a total of about 2 miles of light hiking in the otherwise relatively inaccessible maritime forest on the North end of Jekyll Island. Adding a visit to Driftwood Beach presents another easily walkable side trip along this route. The Horton Road Connector Trail project adds to the Foundation’s success with the improvements at Horton Pond, another JIF initiative completed a few years ago that similarly started with a site that left a lot to be desired from the visitor’s perspective and transformed it into a welcoming natural amenity that allows visitors to safely and comfortably experience a unique and beautiful part of Jekyll Island. We are excited to report that the biggest pieces of the project, pruning the vegetation along the route and resurfacing the trail with crushed limestone, are now complete. The final stages of the project include wayfinding signs and two interpretive panels to be installed in the coming weeks. Going forward, Major Horton Road will be maintained to match the same standards as the interior unpaved-trail network on the south end of the island. The new trail-surface changes from limestone to mulch as it nears Horton Pond because at this point the trail moves off the original historic road onto land classified as “undeveloped”, and becomes subject to associated conservation protections. 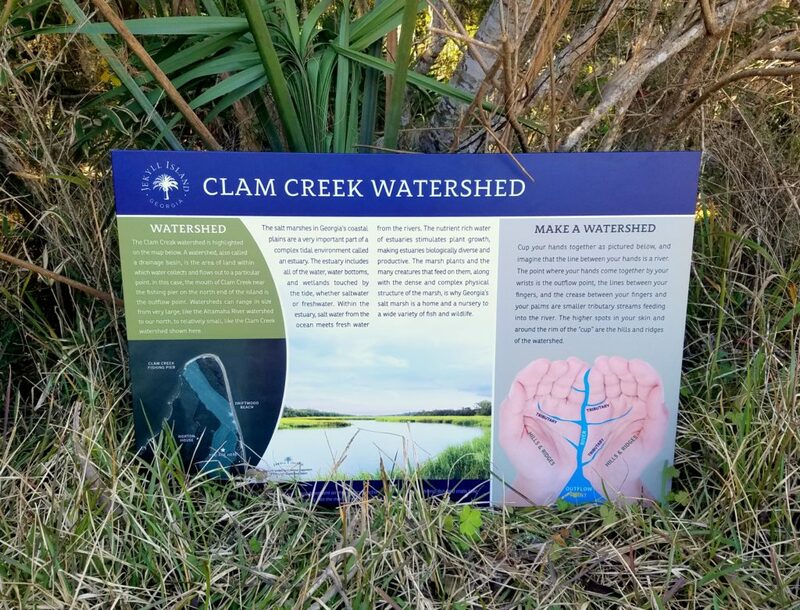 The Foundation’s close partnership with the Jekyll Island Authority is crucial to our success with initiatives such as this. Without the JIAs in-kind contribution of labor to clear and construct the trail, the price tag of the project would have been much higher.